Thanks. Mrs. Rock's sister lives in Bremen. We could combine a family visit with the concert. Do you think Mrs. Rock would like it as much as you? 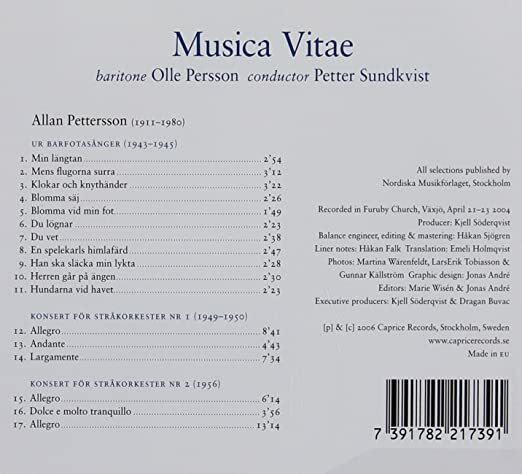 Nobody listens to Pettersson to like the music . . . .
Perhaps one of the most suitable discs to enter into the soundworld of Pettersson, methinks. Excellent program indeed. Coincidentally I purchased this one last week: it features practically the same works ! I don’t know if the songs are in the Antal Dorati orchestration, though. Something to dig into when I get the disc.